The Astro A20 Wireless are an above-average gaming headset with a good sound and build quality. They're easy-to-use and have a great battery life with a lot of power saving features. They're also decently comfortable but can be a bit tight on the head. Unfortunately, like most gaming headsets, they're a bit limited by their design and transmitter base. You won't be able to use them outdoors or with a different console but on the upside, they are compatible with most PCs, they have an efficient control scheme and a good, customizable sound. The Astro A20 a decent-looking and well-built headphones but they will not be versatile or portable enough for more casual uses. They are limited by the range of their USB transmitter base so you won't be able to use them outdoors and, like most gaming headphones, they are not made for running or sports. On the upside, they have a decently comfortable design and a good build quality despite being a bit tight on the head and mostly made out of plastic. 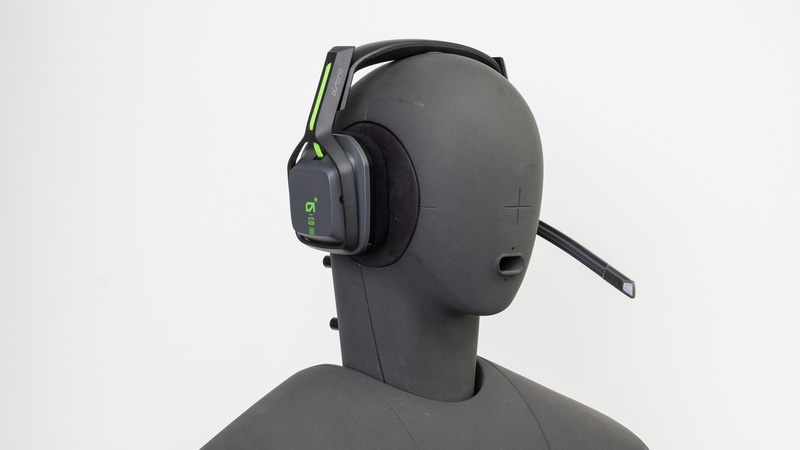 They have large ear cups that are well padded, and an efficient control scheme for gaming that's easy-to-use and well thought-out. They also look a bit more premium than other wireless gaming headsets within their price range like the Turtle Beach Stealth 700. The Astro A20 look somewhat similar to the Astro A10 but with a different headband design. They feel like premium headphones, especially compared to other headsets in their price range. Also, despite being mostly made out of plastic they feel strudy and durable. They have square-ish ear cups that are well padded and coated with a microfiber fabric that further adds to their high-end aesthetic. Unfortunately, they have a non-detachable mic, and they're limited by their USB base so you won't be able to use them outdoors. The A20, like the A10, are decently comfortable headphones but the ear cups do not swivel which makes them a bit tight on the head. The fit may loosen over time, after repeated use, but out-of-the-box they are a bit fatiguing during long gaming sessions. On the upside, they're well padded and covered in a microfiber coating that feels nice on the skin. They won't be the ideal headphones for all gamers due to their tight fit, but they should be comfortable enough for most. The Astro A20 have an efficient control scheme that's easy-to-use and well laid out. You get a great volume dial with good feedback. It doesn't have discrete notches but you do feel it click in place as you adjust which is much better than some of the other gaming headphones we've tested like the Turtle Beach Stealth 700. They have an equalizer button that cycles between 3 presets, (which you can customize through the Astro Command Center) and they also provide channel mixing buttons that are well hidden around the volume dial. Overall, their control scheme looks great, feels intuitive, and delivers good feedback. These headphones are decently breathable thanks to their slightly porous pads. However, since they fully encapsulate the ear, they will make your ears a bit warm during long gaming sessions. 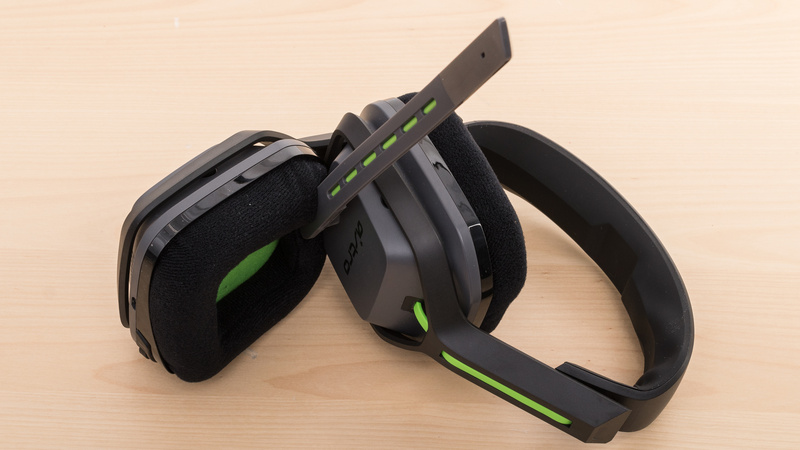 The Astro A20 are slightly smaller than the A10s thanks to their new headband design. 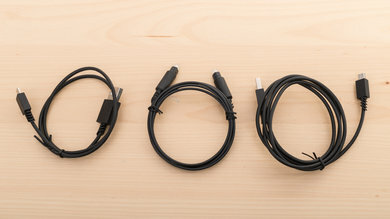 However, they are limited in portability since they can only connect wirelessly with their transmitter dongle. Also, like most gaming headphones, they're big, bulky and do not fold into a more compact format. They're a hassle to carry around if you don't have a bag or a backpack and do not come with a case or pouch which is slightly disappointing. The Astro A20, like the A10, are decently well-built. 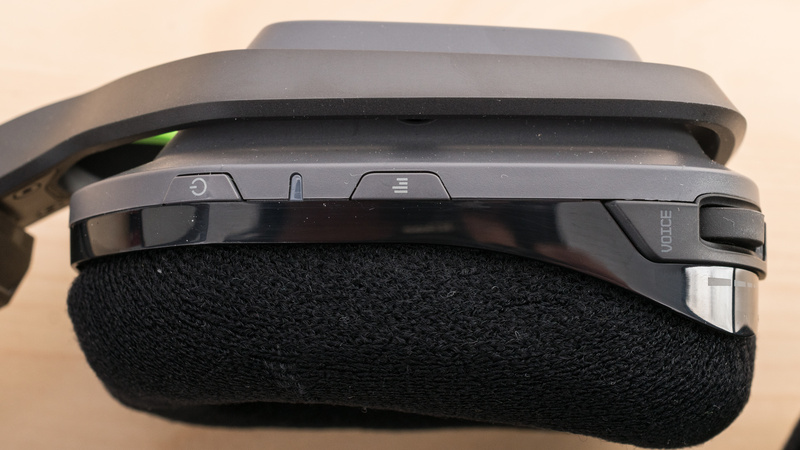 They have a different headband design to the A10's that feels somewhat closer to the A50 but does not look as premium, since the frame is mostly made out of plastic. The ear cups feel dense and sturdy enough to withstand a couple of accidental drops, and the Boom mic is flexible and durable. However, the new headband design feels a bit more susceptible to wear and tear than that of the A10's since there are a lot more moving parts. The A20 like the A10 are not made for sports or running. 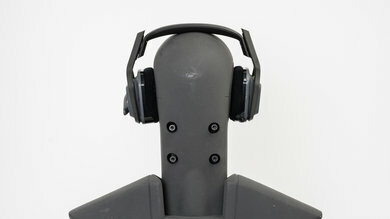 They're tight on the head so they do not move much during casual listening sessions or while gaming. However, like most gaming headsets, they will quickly fall if used while exercising or doing more strenuous activities. On the upside, they're wireless so they won't get yanked off your head because the audio cable got hooked by something. 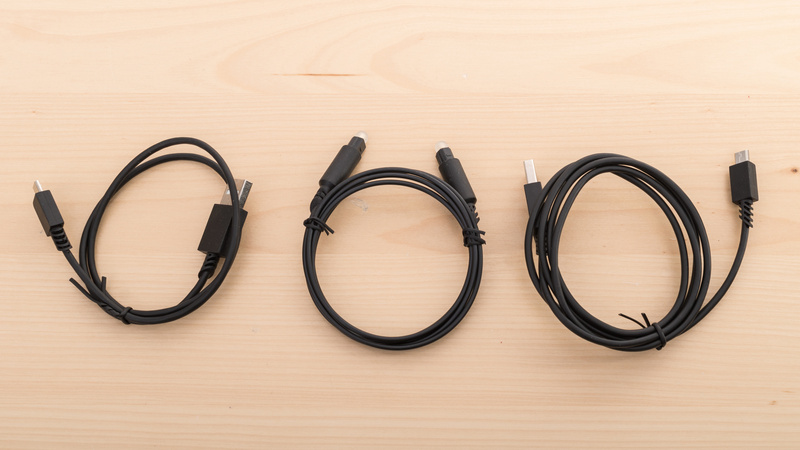 The Astro A20 Wireless headphones come with two micro USB cables and an optical audio cable. The Astro A20 is a good sounding closed-back over-ear gaming headset. These headphones have a punchy and powerful bass with very good extension, a well-balanced mid-range, and a good treble. This makes them quite versatile and suitable for most genres, including bass-heavy music as well as video games. However, their bass is prone to a bit of inconsistencies on certain users, their mid-range is a little recessed on vocals and lead instruments, and their treble is noticeably bright, especially on S and T sounds. Additionally, they have great imaging and produce low distortion, but their soundstage is about average. It should be noted that these headphones were tested with the factory tuning EQ preset 1. The bass of the A20 is great. The LFE (low-frequency extension) is at 25Hz, which is very good. Accordingly, low-bass is within 1dB of our neutral target. This means for the most of the sub-bass range, the Astro produces just the right amount of thump and rumble, which is common to bass-heavy music genres and video game effects. Mid-bass, responsible for the body of the bass guitars and punch of the kick drums is overemphasized by 2.5dB, bringing excess emphasis to this region, but some users may find it pleasing. However, the 2dB overemphasis in high-bass adds a bit of boominess to the sound. The mid-range is very good. The response is relatively even and flat, but for most of the range, it is a bit recessed and under our neutral target. Low-mid and mid-mid are lacking by about 1.5dB and high-mid is underemphasized by about 3.5dB. This nudges vocals and lead instruments towards the back of the mix by thinning them out and giving more emphasis to the bass and treble ranges. The Astro A20 has a good treble range performance. The overall response is relatively even, but shows a 15dB tilt towards 10Khz and is mostly overemphasized throughout the range. This brings a bit of extra brightness and emphasis to vocals, lead instruments and cymbals. It also means that these headphones could be a bit sibilant, that is, sharp and piercing on S and T sounds. The frequency response of the A20 is decently consistent. In the bass range, the maximum deviation measured across our five human subjects is about 4dB at 20Hz, which is subtle but noticeable. However, the biggest drop in bass delivery was on the subject who wears glasses, and the response was more consistent on other test subjects. In the treble range, up to 10KHz, the maximum deviation measured across five re-seats was about 9dB, but mostly in a narrow range around 7KHz. The imaging is great. Weighted group delay is at 0.27, which is within good limits. The GD graph also shows that the group delay response never crosses the audibility threshold, indicating a tight bass and a transparent treble reproduction. Additionally, the L/R drivers of our test bench were well-matched, which is important for the accurate placement and localization of objects (voices, instruments, and video game effects) in the stereo image. The Astro A20 has a decent soundstage. The PRTF graph shows a good amount of pinna activation with good accuracy. However, there's no 10KHz notch present really. 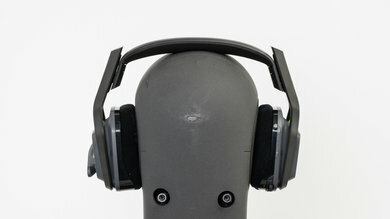 This suggests that the soundstage will be perceived to be relatively large and natural, but located inside the listener's head, as opposed to in-front. The harmonic distortion performance is good. In the bass range, the amount of THD produced is within good limits, even at 100dB SPL. In the mid and treble ranges, however, there are sharp peaks in THD which could make the sound of those frequencies a bit harsh and brittle. The Astro A20, like the A10 and A50, do not have the best isolation against ambient noise. 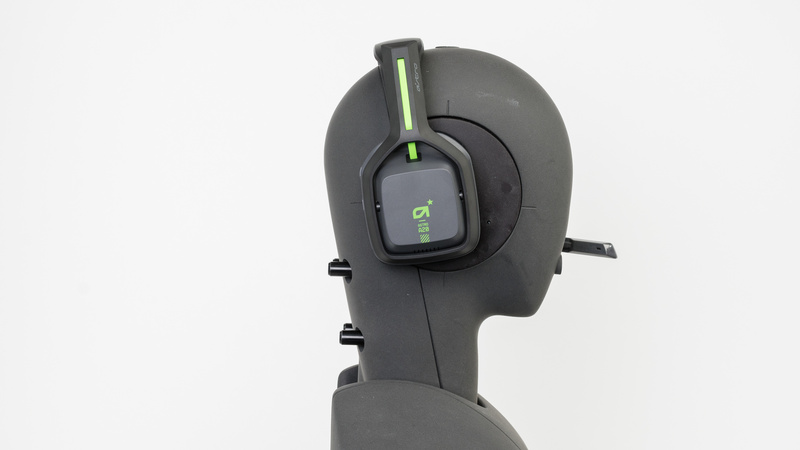 This is most likely due to the slightly porous padding material on the ear cups, which improves breathability but also makes them worse to use in loud, noisy environments, like being at a gaming competition. You can mask some of the chatter and ambient noise of your surroundings by increasing the voice or game volume, but unfortunately, they also leak quite a bit so they may be a bit distracting to the people around you in quieter conditions. The Astro A20 has an inadequate isolation performance. In the bass range, occupied by the rumble of bus and airplane engines, they don't achieve any isolation. In the mid-range, important for blocking out speech, they achieved about 4dB of reduction, which is sub-par and barely noticeable. In the treble range, where sharp sounds like S and Ts sit, they isolate by more than 27dB, which is above average. The leakage performance is sub-par. 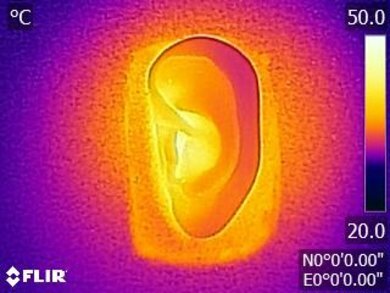 The significant portion of their leakage sits between 300Hz and 6KHz, which is a relatively broad range. This means their leakage will be fuller sounding compared to that of in-ears and earbuds. The overall level of the leakage is also moderately loud. With the music at 100dB SPL, the leakage at 1 foot away averages at around 49dB SPL and peaks at 62dB, which is a bit louder than the noise floor of most offices. The Astro A20 have a good boom microphone. In quiet environments, speech recorded or transmitted with this mic will sound relatively warm and full-bodied, but it will lack a bit of detail and brightness. However, it will still be easy to understand and comprehend. In noisy environments, it can separate speech from background noise in most situations, even loud environments like gaming competitions and subway stations. The recording quality of the microphone is decent. The LFE (low-frequency extension) of 91dB, suggests that speech recorded/transmitted with the mic will sound relatively warm and full-bodied. The HFE (high-frequency extension) is at 2KHz, but since the cut-off is not very sharp until 6KHz, speech may lack a bit of brightness and detail, but it won't sound muffled and it will be easy to understand. The microphone is very good at noise handling. 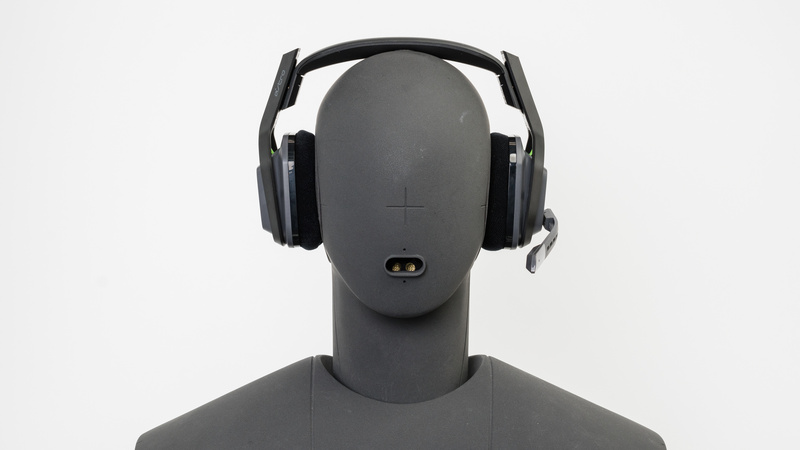 In our SpNR test, they achieved a speech-to-noise ratio of 27dB, meaning they can easily separate speech from ambient noise in most loud environments, even subway stations and gaming competitions. However, they may struggle a little bit in extremely loud and demanding situations. The Astro A20 have a good battery life and customizable software support. They can play continuously for 14 hours, which should be long enough for most gaming sessions, and they also have a lot of power saving features which makes their battery performance even better. They will automatically turn off when inactive, and you can use them while they are charging for longer gaming marathons. 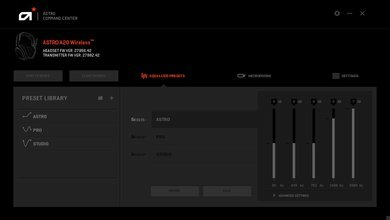 They also support the Astro Command Center, unlike the A10, which gives them access to a great parametric equalizer, presets, and microphone customization options. It's not as versatile as when paired with the higher-end Astro A50 but it's good enough for most gaming use cases. The Astro A20 have a fairly long-lasting battery life of 14 hours and have great power saving features. They will automatically power down when no music is playing and you can use them while they're charging for longer gaming sessions. They take a bit of time to charge but it's to be expected for a gaming headset, and they have no passive playback since you cannot use them wired. The Astro Command Center is an easy-to-use and efficient support software. It provides a great graphic equalizer that you can assign to the EQ button on the A20s right ear cup, which lets you cycle through different saved EQ presets. They also have a microphone tab that gives you control over the microphones sound profile and its noise gate. The Command Center is a bit more feature-packed when paired with the higher-end Astro A50 but it's good enough for most gaming use cases with the A20s. The Astro A20 come with a good wireless base that has low latency and a decent range. 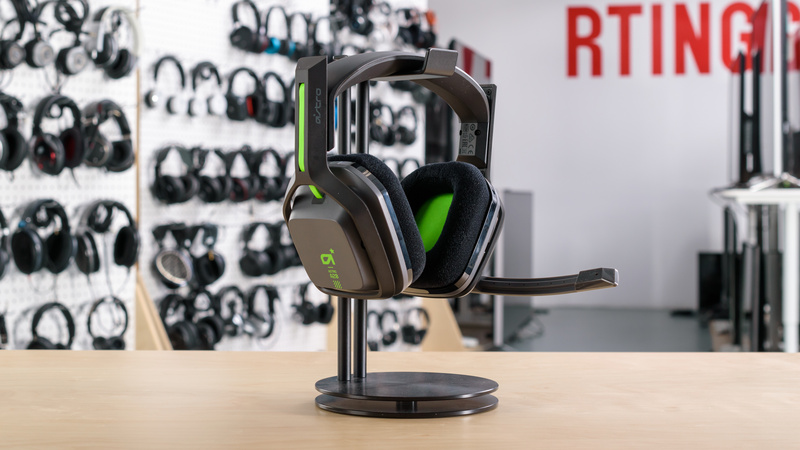 The base has fewer connection options than the Astro A50 but works with PC and the Xbox One (they're one of the best Xbox One headsets we've tested) or the PS4 depending on which console variant you chose for your headphones. Unfortunately, they can only connect wirelessly via their base so you won't be able to use them wired with console controllers. Also, they're not Bluetooth headphones like some of the other gaming headsets we've tested like Turtle Beach Elite 800. These headphones are not Bluetooth compatible. If you want a gaming headset with Bluetooth support, check out the LucidSound LS31. These headphones do not come with an audio cable that you can use without the base station. 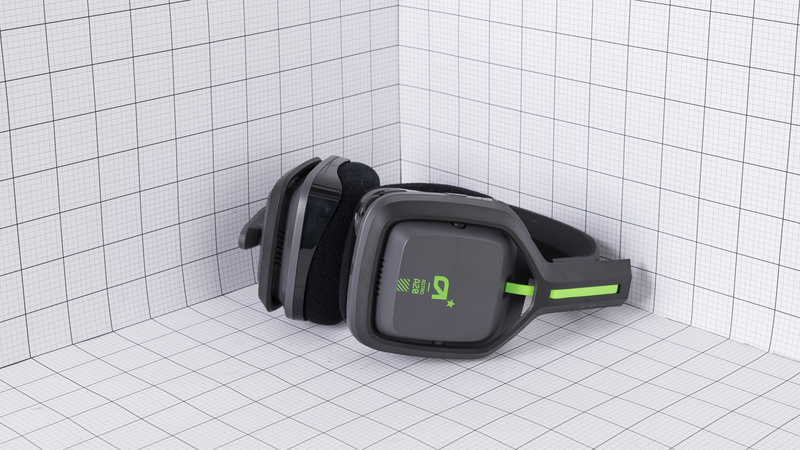 Unlike some other gaming headset like the SteelSeries Arctis 7, the A20s will not be compatible with mobile devices and will not work with the Xbox One or the PS4's controller. The Astro A20 come with a good base transmitter but do not have as many connection options as the A50s. They have an optical input and audio via the USB cable when plugged into your PC. Unfortunately, the base does not work across platforms so you won't be able to switch between your PS4 and Xbox One unless you purchase an additional base station, and they do not have a line-in, optical out or dock charging like the A50, which makes them less versatile. The Astro A20 have decent wireless range when the USB transmitter is obstructed and in direct line-of-sight. They will rarely cut out if you're gaming directly in front of your TV, but their range is a little shorter then typical Bluetooth headphones. This means if you have a large home or office, then they may start to cut out after 30ft. The Astro A20 Wireless have low latency, making them a suitable option for gaming. They're slightly worse than some of the other gaming headsets we've tested at 62ms of latency, but you will rarely notice any sync issues between the audio and the images on the screen. This also makes them a good choice for home theater use. The A20 are a decent gaming headset with a good sound and build quality. They come with a base that's limited to the console variant you purchased and doesn't have as many inputs as Astro A50 or the SteelSeries Arctis 7, but it offers a good wireless range and low enough latency for gaming. They have a decently comfortable design although they can be a bit tight on the head for some users. If you value a good sound quality for your gaming headset and you mostly game on one console or PC, then they're a good choice. However, they won't be as versatile as some of the competing models below. 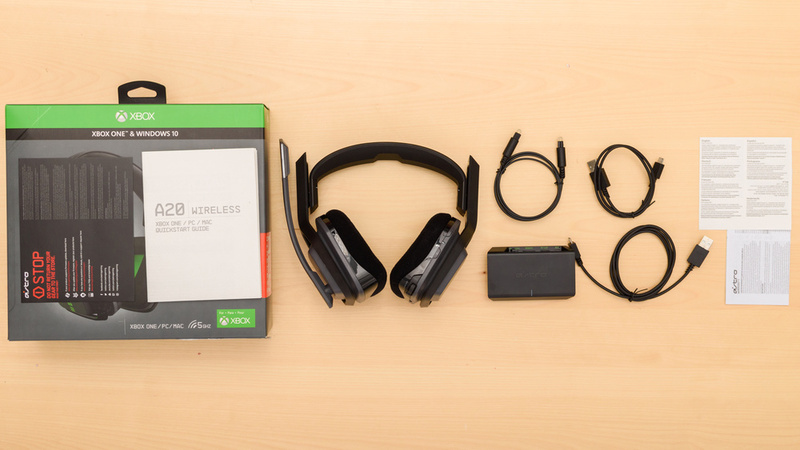 See our recommendations for the best Xbox One headsets, the best PS4 headsets, and the best wireless gaming headsets. 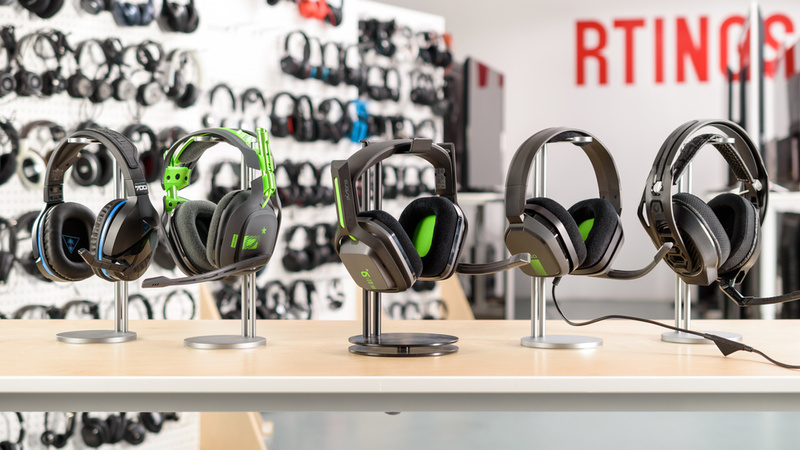 The Astro A50 ​are noticeably better gaming headphones than the Astro A20 model. They are better made and are noticeably more comfortable, which is great for long gaming sessions. Their out-of-the-box sound quality is also slightly better and their microphone has a more natural recording quality. Their charging dock also has inputs, which is convenient. On the other hand, the A20 have slightly better battery life and take less time to charge. However, their latency is also higher than the A50. The Astro A20 is a better-sounding gaming headset than the Turtle Beach Stealth 700. 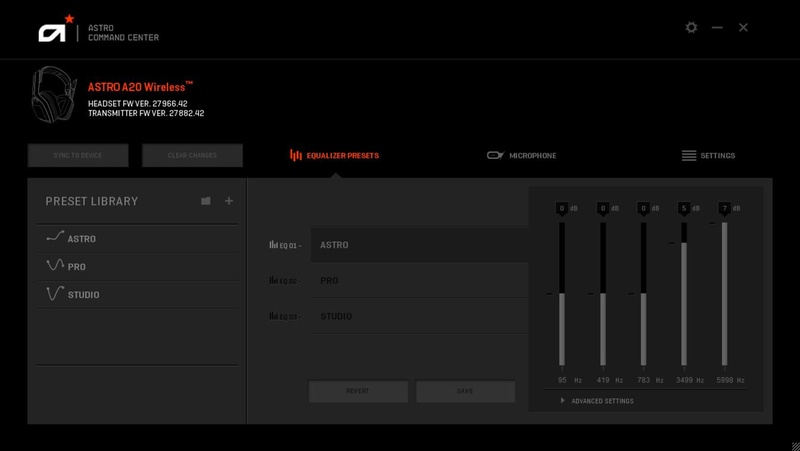 Their default sound profile is more accurate, and you also have access to an EQ in the Astro Command Center app to customize them to your liking. 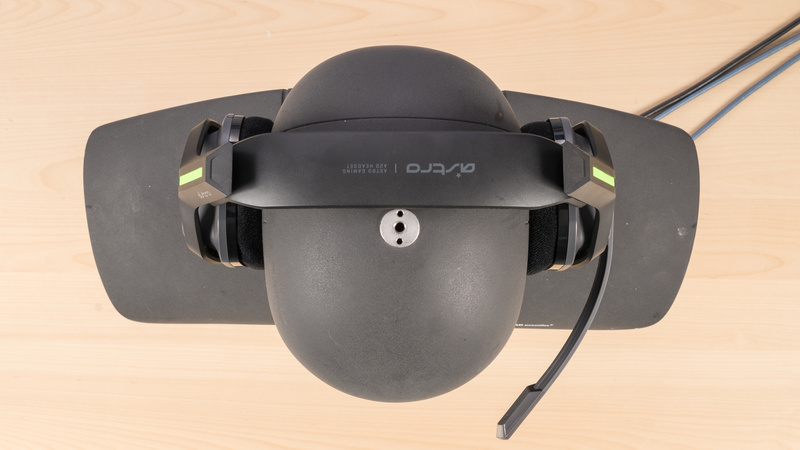 However, if you need a microphone to play online with friends, the Stealth 700 has the edge in that category. Speech transmitted will be clearer and decently full-bodied. On the other hand, the Astros feel better-built and not as plasticky as the Stealth 700, but you won’t be able to stream music via Bluetooth while gaming, which you can do with the Turtle Beach headset. The LucidSound LS31 is a better gaming headset than the Astro A20. It has lower latency, is more comfortable, and has more control options thanks to the channel mixing dials. It also has a better microphone for online gaming, and its battery life lasts a bit longer than the Astros. On the other hand, the A20 have better sound quality and also have an app to EQ the headphones to your liking. Unfortunately, they can’t be used wired like the LS31 can, and their latency and wireless range are a bit worse. The Astro A20 are above-average gaming headphones but won't be ideal for all use cases. They have a simple, well-built design with well-padded ear cups and a good base that offers an optical input. They're decently comfortable and have a fairly low latency for gaming and watching movies. However, they are limited by their transmitter, so you can't use them with a different console or outdoors and they're not designed for casual use. Good for critical listening. The Astro A20 Wireless have a good bass and a decently balanced treble reproduction although they can be a bit bright with some tracks. They won't have the most spacious soundstage since their closed-back headphones, but on the upside, they should sound good enough even for more critical listeners. Poor for commuting. 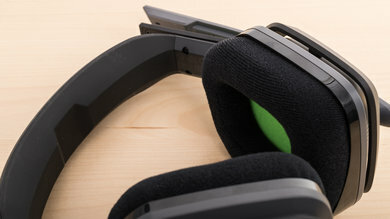 The Astro A20 are not made for traveling so they do not block a lot of noise, and they have a bulky design that doesn't fold. They're also limited by their USB transmitter so unless you use them with your laptop, on a long bus trip or flight, then they will not be suitable for travel. Sub-par for sports. The Astro A20 Wireless are not made for running and jogging. They're big and bulky headphones limited by their transmitter base. Average for office use. The Astro A20 Wireless don't block a lot of noise, so you will hear what's going on around you. They also leak quite a bit so they may distract your colleagues. On the upside, they're decently comfortable, they're compatible with PCs, and they have a long battery life so you can listen to your music continuously for hours. Average for home theater use. They have a good sound and a decent wireless range for most home theater set-ups. They also have a low enough latency to be suitable for watching movies and an optical input. Unfortunately, they do not have as many connection options as the A50, and they tend to be a bit tight on the head, which may get slightly uncomfortable during long viewing sessions. Above-average for gaming. The Astro A20 have low enough latency to be suitable for gaming, a convenient wireless design, and they're decently comfortable. They won't be the best headphones if you have a particularly noisy gaming environment, like being at a competition. However, they deliver on most aspects that make a good gaming headphone. They have a clear and reliable microphone, a good battery life with power saving features, and a well-balanced sound that you can customize through the Astro Command Center. Unfortunately, they are a little tight on the head which may get a bit fatiguing during long gaming marathons.